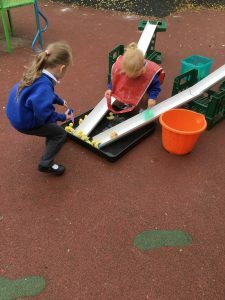 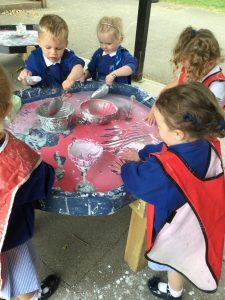 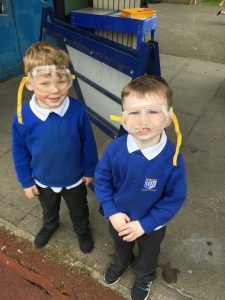 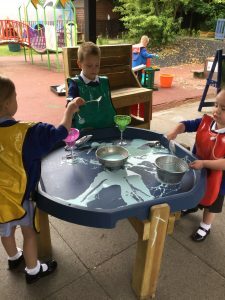 Outdoor fun on Fridays took a scientific turn last week as Nursery took part in Science Week. 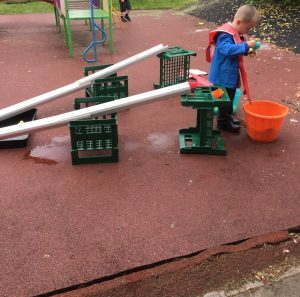 We investigated floating and sinking in the water. 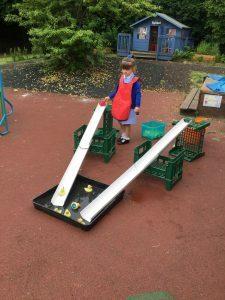 We tried to guess which objects would float or sink then tested them. 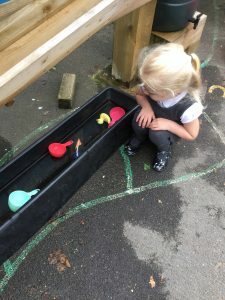 We made little boats and tested them out to see if they floated. 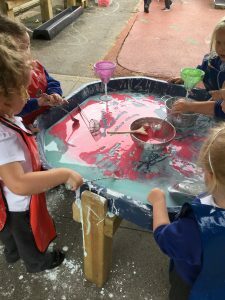 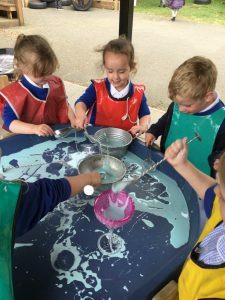 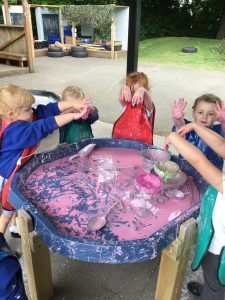 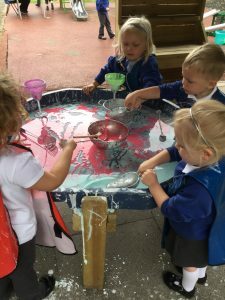 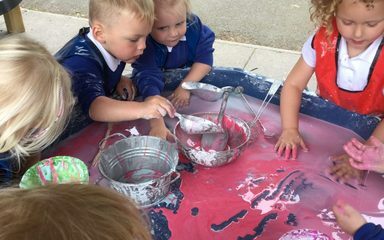 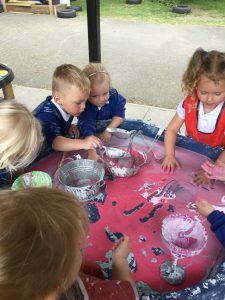 We used water to send the ducks down the guttering to their pond and we got messy in the cornflour gloop which feels solid but when you pick it up it turns to a liquid. 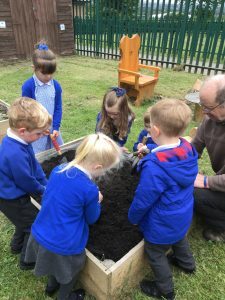 Rob also paid us a visit to do some more gardening with us. 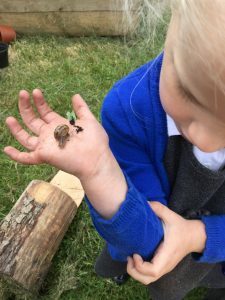 While we were gardening we found 2 snails. 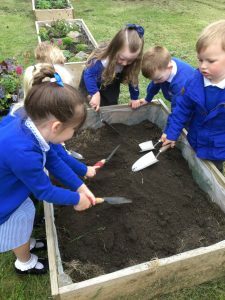 We were keen to keep them so we decided to make them a home. 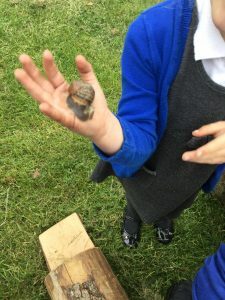 We all had a vote to name our snails and the winning names were Sparkle and Sally. 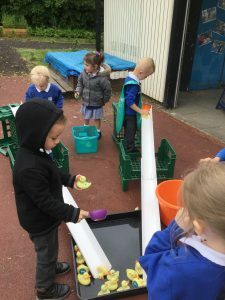 Before it was time for home we did some research to find out how to take care of our snails. 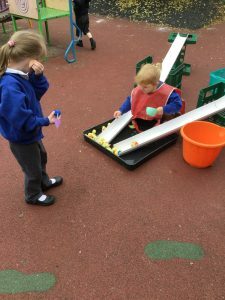 What a busy time we had.